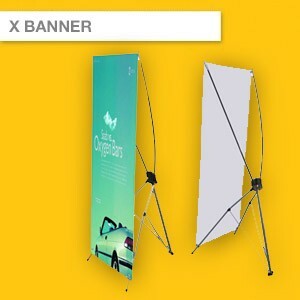 X BANNER is light & affordable display banner. It’s light in weight & can be packed in a bag for travel. The Set up is very easy and can be done by one person in 30 seconds. 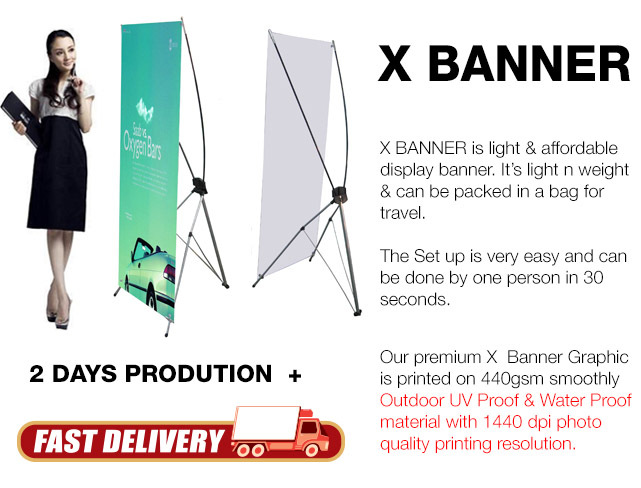 Our premium X Banner Graphic is printed on 440gsm soft & curling free material with 1440 dpi photo quality printing resolution.